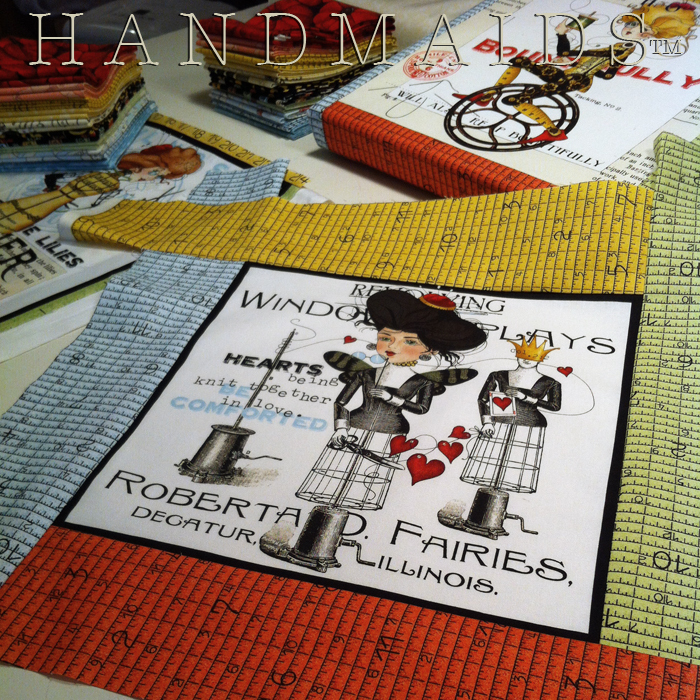 My (creating) heart however, has been set on new projects for the Handmaids™ series of fabric collections. Especially after visiting & viewing all of the beautiful projects that were presented for the She Who Sews Blog Hop. And thankfully, many of yours too, perhaps. So, first in order was prepping & packing the giveaway prizes! Fat quarter cutting early Saturday with Jac and Syd. Then, my good buddy Annie and I examined the She Who Sews fabrics from Quilting Treasures, for two small quilts that she will be playing with & piecing. • Future GIVEAWAYS! The consideration is, one a month to get things rolling. • And while She Who Sews fabric is available, we were wondering how many quilting, sewing & collage artist bloggers might be interested in participating in another Handmaids™ Hop. Or for any & all quilters, sewers & collage artists to simply showcase your She Who Sews works in one of our albums. Please leave us a comment to let us know your interest in either. Lastly for me, who is still getting my sewing sea legs, a February post card for a Facebook group & finishing up the second canvas wrap. BTW – I thought it was interesting to learn that one of the giveaway prizes is going just across town to Ferguson, & one to France!
. . . And the post card is off to Switzerland! I would love to win a stack of these! Your fabrics are fun and adorable. Love the flowers, and the yellow! Great Rosemarrazzle! Stay tuned and we’ll be sure to keep you posted. Oh my goodness Karen, I feel the same way. And you’re rocking chair thread caddy projects sent me straight to ebay as well. Your post about these darling little rocking chairs and the story you uncovered has inspired me to do something with them, not sure what yet. A She Who Rocks GIVEAWAY? Thanks again. Knee deep in the fabric, love to hear it. And can’t wait to see your quilt. I have some of this fabric and I love it. I only have the large panel and I can’t wait to make something with it and all those yummy fabrics added to it would be grand! 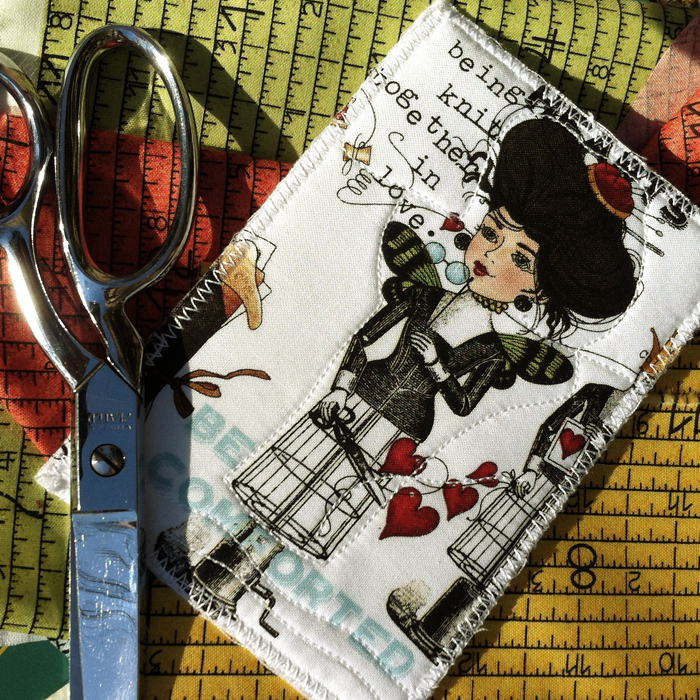 I am totally in love with the She Who Sews fabric line. 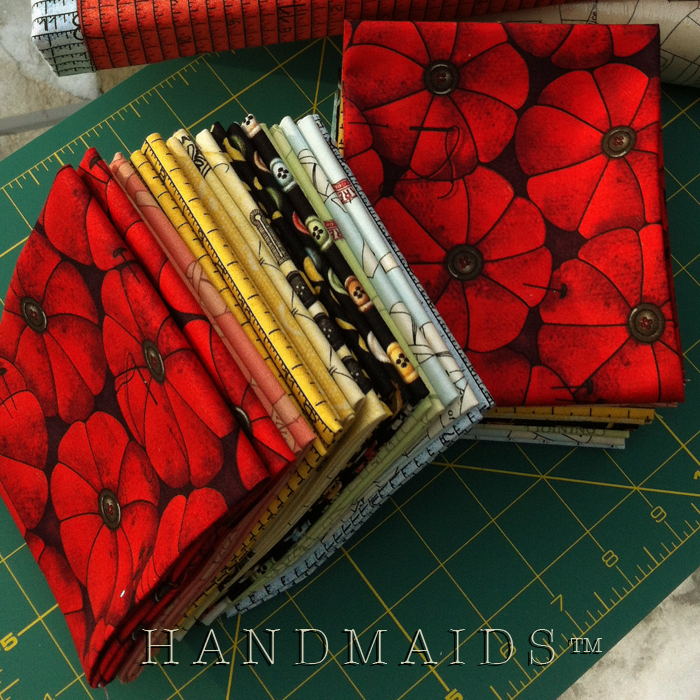 I have seen other handmaids fabrics, too, and they are also very cool. I think they are all quite marvelous though my heart is with sewing!!! I totally in love with line of fabric too! I have more projects planned with this fabric for my sewing room. I love this fabric too. I have more leftover from the blog hop at Sew We Quilt.I am going to wip up a small quilt. I haven´t seen the fabric in Sweden, so I have to buy from internet shops in US. This fabric is wonderful! I’ve never done a blog hop, so it should be fun. What are the rules/requirements? Looks like the time is off. I just posted my response, and it says it is 6:55 pm, while it is only 2:55 pm here in West Michigan! Anyway, I love ALL you stuff!! I am fairly new to the blog stuff so not sure what I’m doing or am supposed to do. i do love the She Who Sews product line though and will follow along so I can learn as I go.